If you’re serious about increasing your small business advertising in Albuquerque, call our local Valpak franchise. We can show you how to market smarter with print, social and digital advertising. Businesses featuring in our direct mail advertising, The Blue Envelope® coupon mailer, share the cost of postage, so you save while partnering with a well-known brand. Standing out is also vital in the digital world. Valpak.com offers printable and digital coupon opportunities optimized for search engines. 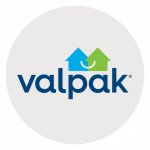 Valpak of Albuquerque is a Google Ads Premier SMB Partner. Do you want better proof of performance for your advertising dollar? Valpak of Albuquerque offers performance tracking, a sophisticated tracking tool that measures customer response to print and digital spends. See what’s working and focus your efforts accordingly. For specific dates and coverage, contact your Valpak of Albuquerque representative.